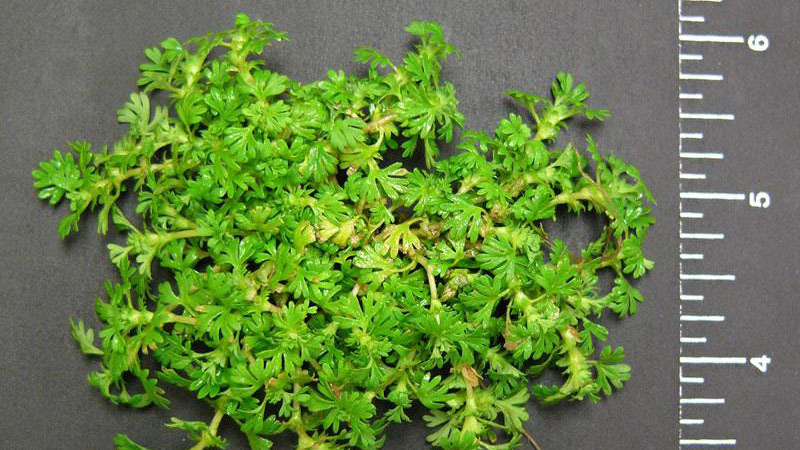 Parsley-piert is a freely branched winter annual about 1 to 3 inches tall. 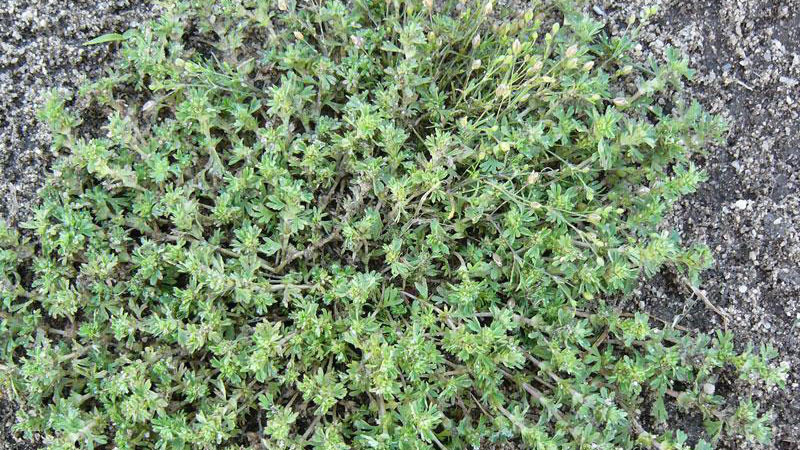 It closely resembles lawn burrweed and knawel. 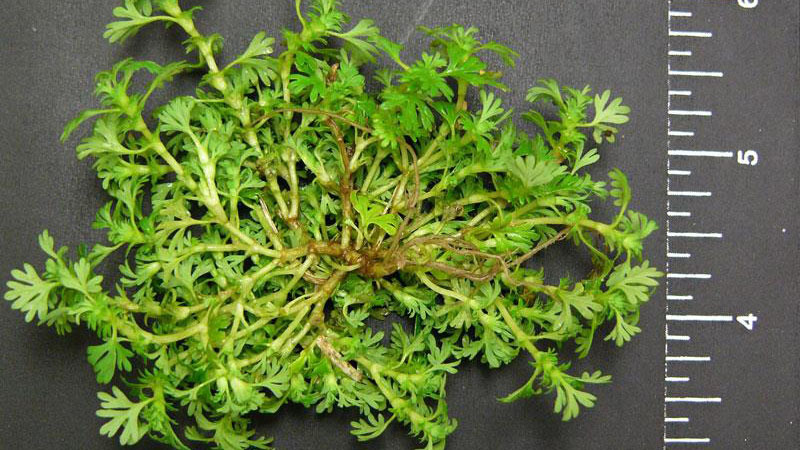 Leaves may be petiolate or sessile with a cone-shaped toothed portion (stipule) at the base that encircles the stem. 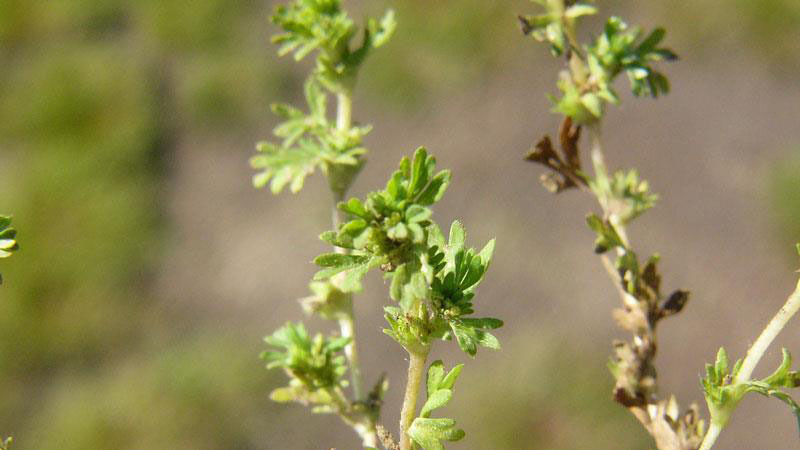 The inconspicuous flowers are borne in axillary clusters and are surrounded by the stipules. Figure 1. Parsley-piert growth habit. Figure 2. 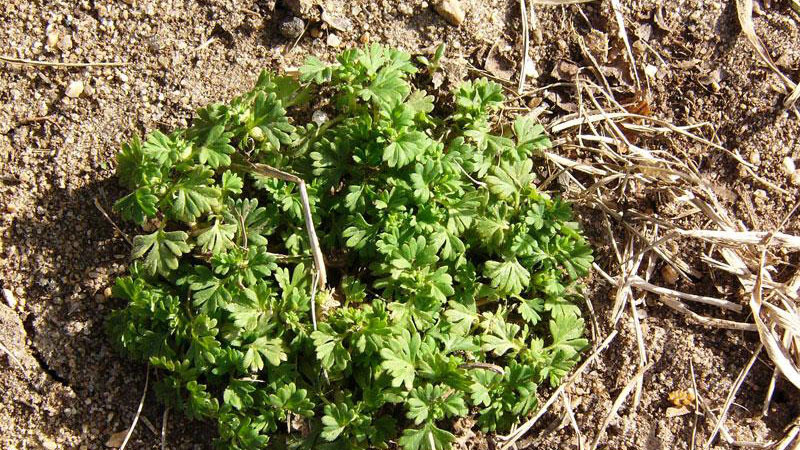 Parsley-piert growth habit. Figure 3. Parsley-piert growth habit. Figure 4. Parsley-piert growth habit. Figure 5. 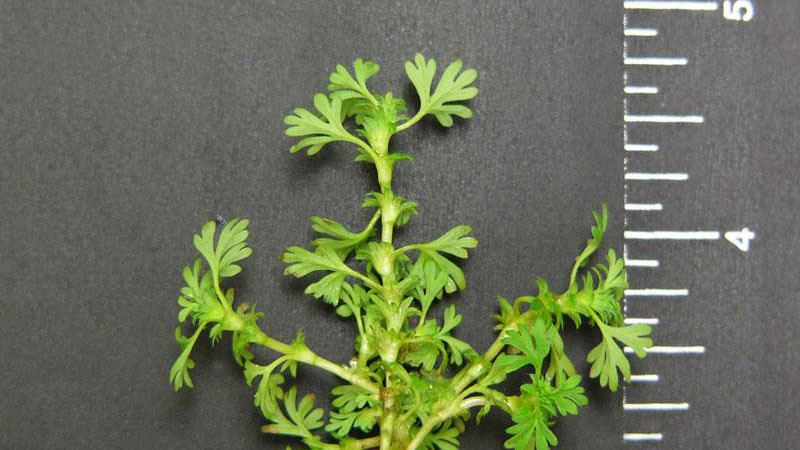 Parsley-piert growth habit. Figure 6. 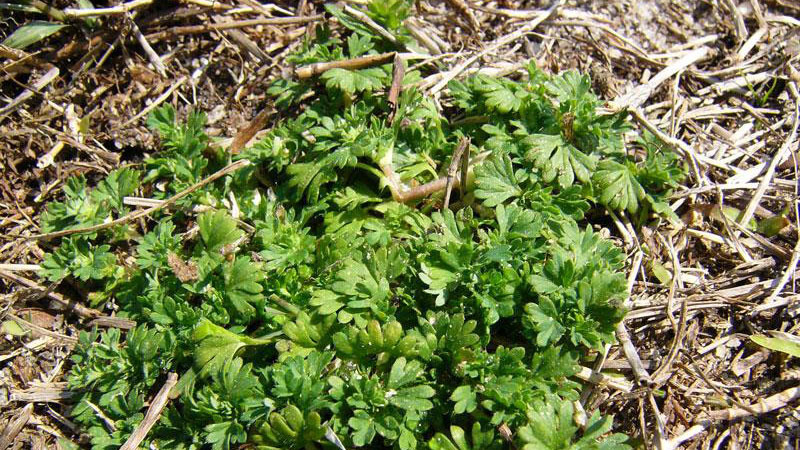 Parsley-piert growth habit. Figure 7. 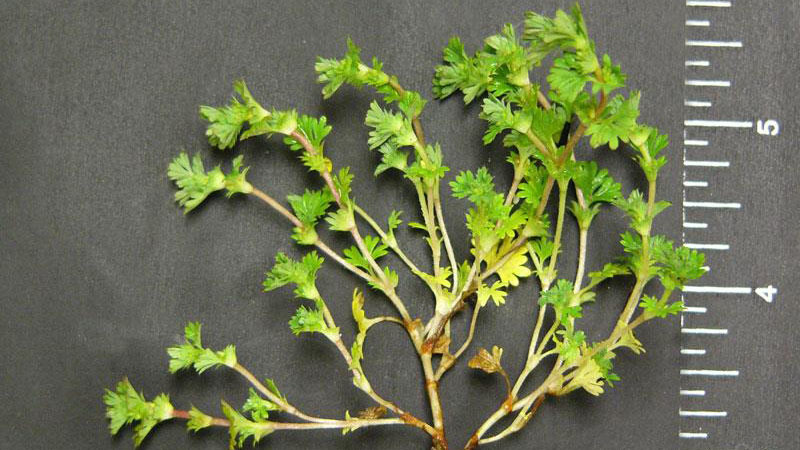 Parsley-piert leaf margin. Figure 8. 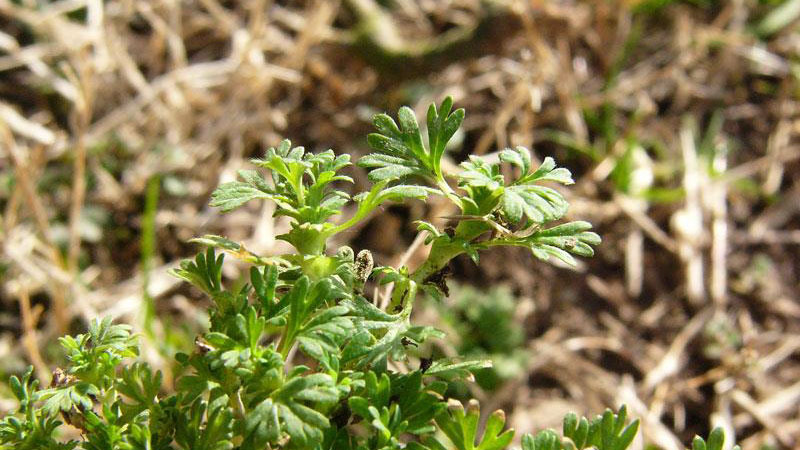 Parsley-piert leaf margin. Figure 9. 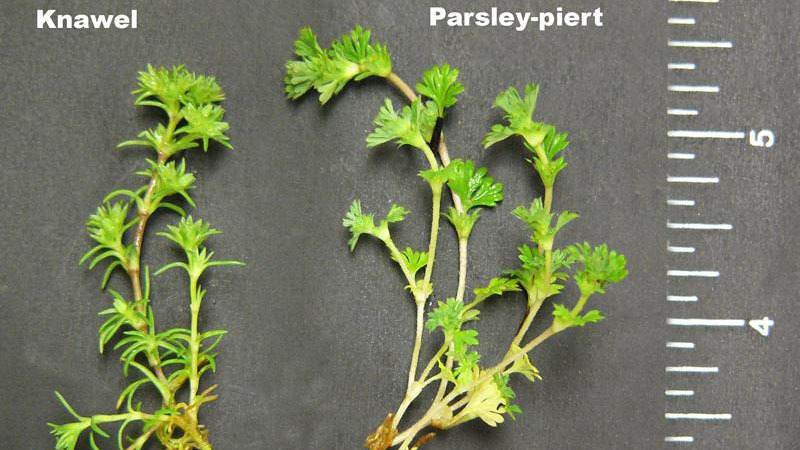 Parsley-piert leaf margin. Figure 11. 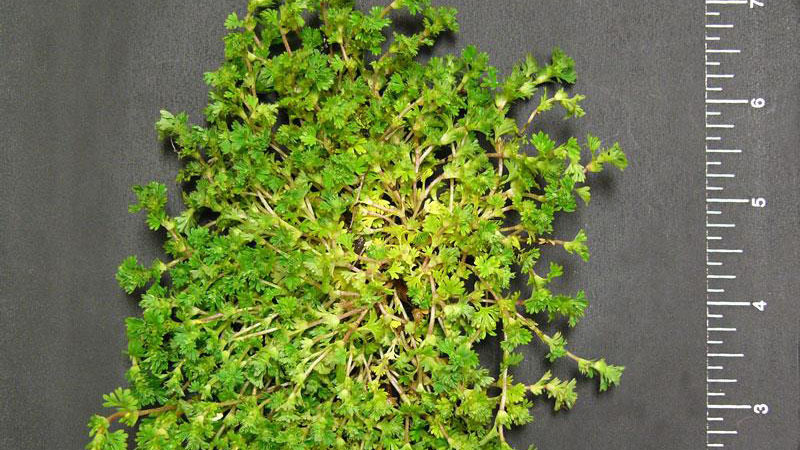 Parsley-piert leaf arrangement. Figure 12. 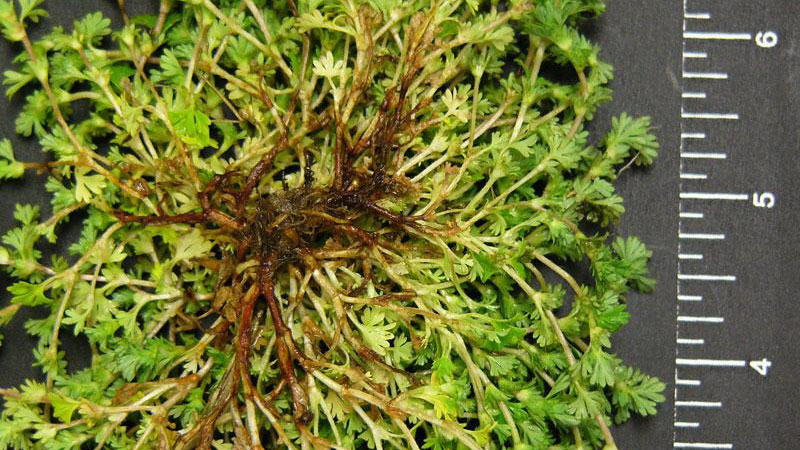 Parsley-piert root type. Figure 13. Parsley-piert root type.